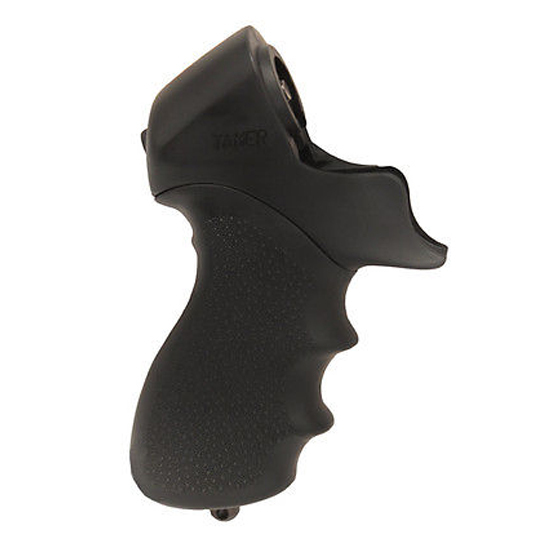 Hogue rubber grips are molded from durable synthetic rubber that is not spongy or tacky yet provides a soft recoil absorbing feel without affecting accuracy. The flexibility of the materials and molding process produces rubber grips with features that out perform all other makes. It is molded with a reinforcing insert directly engaging with the firearm frame for a rocksolid griptoframe fit. The Cobblestone texture provides an efficient nonslip nonirritating stippling pattern.This OverMolded Tamer model has a black finish and is compatible with Mossberg 500.